If you have been following my blog lately you know the majority of my posts have been about running and trying to get more into the sport. It has always been something I don’t like….actual dread…but recently it has been more of a hobby and daily routine. I have been running on average two miles every day and I am so damn proud of myself! I do it every night when I get home from work and it doesn’t bother me or anything. 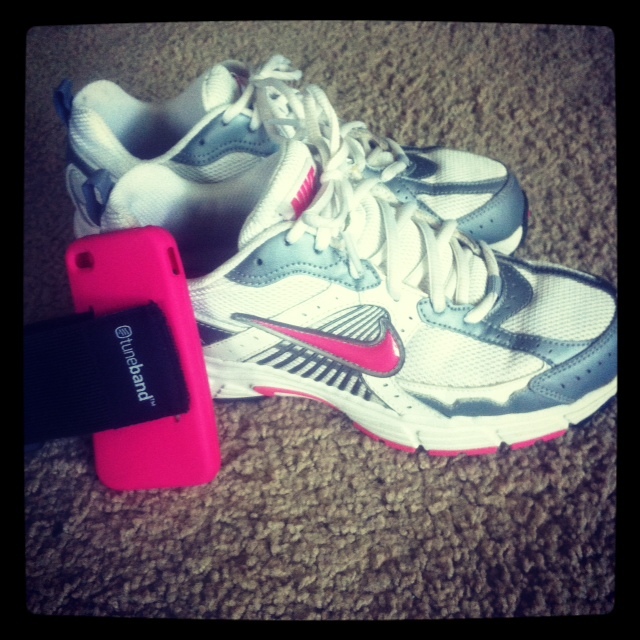 No matter how tired I am I put on my Nikes and Tuneband (best purchase off Amazon ever) and get running. I bring my puppy Gracie and she loves it. She keeps up with me and trails right behind me. It is so cute and I know she actually looks forward to it too. I am so excited to announce I will be in my first ever RACE!! Shutterfly (they own Tiny Prints, where I work) is sponsoring the employees to participate in the JP Morgan Chase Corporate Challenge in September! It is 3.5 miles along the water in San Francisco and I am stoked. The timing COULD NOT be more ideal as now all my running is actually part of a training program. I had no intention of signing up for a race and merely run for exercise but this is perfect. I am slowly increasing my distance and before I know it I will be running 3.5 miles like a pro. Some of you might be chuckling but if you knew me it’s a big deal! I am so so excited and can’t wait to get my first race bib. Exciting stuff!! Posted in Posts and tagged running, San Francisco, Shutterfly, Sports, Training. Bookmark the permalink. So awesome! Good for you, Brittany. Maybe this will inspire me to start running….You go girl! We have a lot in common 🙂 I used to absolutely hate running, but I just started doing it as part of my training and I’m actually liking it. And I’m running my first 5k in September too! I’ll definitely be following along–good luck with your training! That is wonderful! Thanks for stopping by…do you have any advice? What has worked best for you!? So far I’m just trying to be consistent and focus on that. Since we both can already technically run 5k, it seems like it’s more of a matter of sticking with it until September and trying to get faster. Two things that have really made a difference for me, though, have been 1) finding the right running shoes and 2) doing interval training. Getting the right shoes made running so much more comfortable–aches I thought were from running in general were really just caused by not having the right type of shoe. Doing intervals adds some diversity to my workouts so I don’t get bored and so my body doesn’t acclimate too much to just running. Do you have anything that’s really helped you? I’m also totally jealous of your Tuneband… I carry my iPod in my hand and it’s pretty annoying. I may have to take that idea from you!